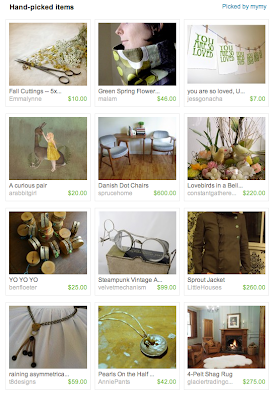 I feel like the bee's knees when I spot my work on an Etsy Treasury! Thank you, mymy!! Visit mymy's shop for lots of funky artful finds and especially if you love handspun yarns! She is one of the best!! Katie Runnels"etsy", "my artwork", "press clippings"